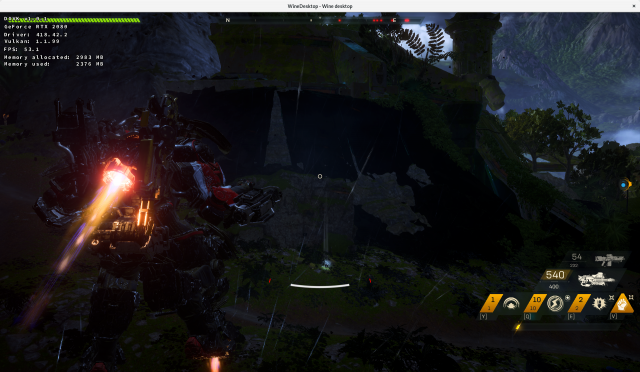 Hi, I am trying to run Anthem on Linux. I used the Lutris install script for now. Sometimes the game just quits without an error message during loading screens (esync off and wine 3.21 / 4.3 seems to be the trick here). Every time I can play, something is wrong with the textures or shadows in some open world areas that aren’t directly illuminate. They appear almost black. Changing in-game graphical settings has no effect on it. I wonder if some experienced similar issues in other games and maybe can give me some tips or narrow down the error reason(s). Maybe a known wine / dxvk bug or an unsupported graphics feature?